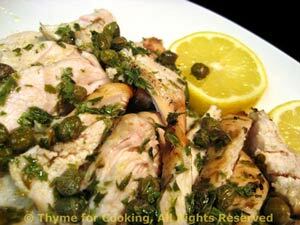 Grilled Chicken Piccata, Thyme for Cooking recipes. One last grain/vegetable salad for the season. 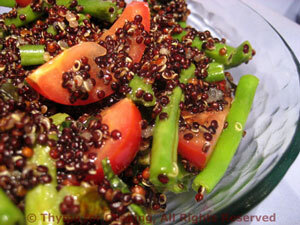 I used black quinoa, but either the tan or red will be fine. I haven't really been able to tell the difference in the flavors - but I do like the colors.